Blog | Destination Enlightenment | Seek. Find. Share. As the cycle of the year turns towards the end, it is natural to find ourselves reflecting or reminiscing about the things that have affected us over the past few months. For many of us, it brings up very painful memories related to this time of year and reminds us of our sadness. Many of us have lost very precious people, pets or things that we cherish and most of us simply do not know what to do with all the memories and feelings that cascade into our lives as these occasions present themselves, when there is so much activity and so many demands on us and we have to be “present” for others. We miss the ones/things we have lost and it is the most natural thing in the world to want to share these times with them. These are the times when we are acutely aware of the things that we wish had been different, better or more in our relationship/s and we remember the hopes, dreams and expectations we had for them and us. These are also the times when we sadly try to handle these days alone, by keeping these thoughts and feelings to ourselves. First of all, find yourself a friend or confidant that you can trust with your feelings and who won’t try to “fix” you. You are not broken; you are having a normal and natural reaction to your loss. Honor the person, pet or thing you have lost – Say their name out loud. 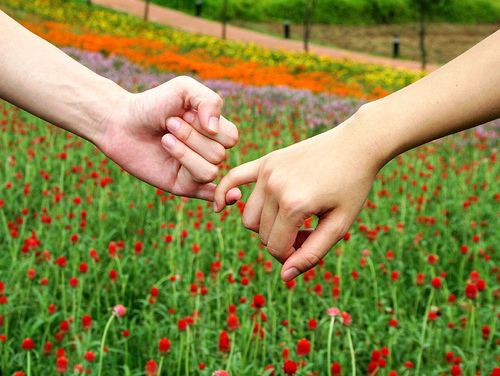 Tell your friend or confidant, what and how you really feel – be emotionally honest. I honor Princess – my little, darling, love. I will not be able to share Thanksgiving or Christmas or New Year with her for the first time in 18 years and it makes me so very sad. I love you and miss you my little Bubba Love. If you need someone to honor your loved one with, hit “reply all” so we can be a witness for you or you can call me: 360 721 3433 or email me and I will gladly be a witness for you. It is hard to remember or even believe that we are not alone at this time of the year, but we are not. There is at least one person on this planet that loves and cares about you. Remember that and cherish it. We sometimes have to reach out beyond that thing called pride and ask for help. I have come to learn over the years that that is actually a sign of strength (took me long enough). We are all connected one way or the other and we are not alone. Good Health, Happiness and Prosperity for the coming year and always. I wanted to share the current book I am reading. I kept coming upon references to Women Who Run With the Wolves , by Clarissa Pinkola Estes, Ph.D. so I finally picked up a copy to read. There are many excellent reviews out there but in a nutshell this is a collection of stories and myths from around the world for women (and the men who want to understand them) about reconnecting with the soul self. It tells how society, culture and ego have separated women from their true nature, and how it can be reclaimed. As I read Women Who Run With the Wolves, I am reminded of Joseph Campbell’s, Hero with a Thousand Faces (you can read a review here) as they both weave archetype, mythology and modern psychology together to illustrate how myths, and ancient stories parallel modern life. In a Hero With a Thousand Faces, Campbell outlines the Hero’s Journey as played out in many movies and books today and of mythology and ancient stories of the past. Campbell contends that we all get the call in our life to begin our own personal Hero’s Journey should we choose to answer. These books take some time to digest, but both authors do a great job of breaking down the symbolic meanings as they relate to real life and the psyche. At the expo, both Ann and I (not together) were attending a small class learning about pendulums and the instructor opened up the floor for participants to ask questions or to share any insights or messages they were intuiting. I asked a question to the class and Ann had made an impression on me because she seemed genuine in her ability and bit surprised by it too. There also seemed to be a sense of urgency in that she had to share with me what she was picking up. Ann very strongly felt and saw the presence of an angel next to me and she relayed a message to me. Ann made a comment that maybe she should be sharing more of this gift with others as if she had been ‘hiding her light under a bushel’. Since Ann had made such a strong connection to my guide/angel, I was intrigued and asked her for her email and if it would be okay if I contacted her at a later date. Fast forward over a year later, I thought what the heck, so I pulled out Ann’s email. Follows is the interview I conducted a few days after my session with Ann. I am always fascinated by those that have a clear connection to the other side. I hope you enjoy the conversation. Brandi: We met at the 2016 Mind Body Spirit Expo last year. I feel we were drawn there for similar reasons; for me it was mainly curiosity and embracing my true spiritual nature. Tell me about what brought you to the Expo? Ann: Curiosity is always a motivator for me; so yes, that was one reason. Wanting to be stimulated, is another reason I attended. I really love being around “Like-minded” people. I can use the “jargon” and feel comfortable. I can learn new things and new ways! Brandi: You have a lovely accent, if I remember correctly – you are from New Zealand? Ann: Yes, the accent is New Zealand. I emigrated here in 1992 from Australia, where I had been living for 8 years. I am now proud to call myself a citizen of the United States of America, after completing my naturalization process a couple of years ago. I’m pretty sure I will always have my “accent”, but to be fair, I think you guys are the ones with the accent. Brandi: I was amazed that you remembered the details of our brief conversation at the expo over a year ago, but not really though because as we were speaking it seemed as though relaying the message to me was impactful for you too? Brandi: Can you tell me the difference between a spirit guide and an angel? My guide or angel has been referred to as both? 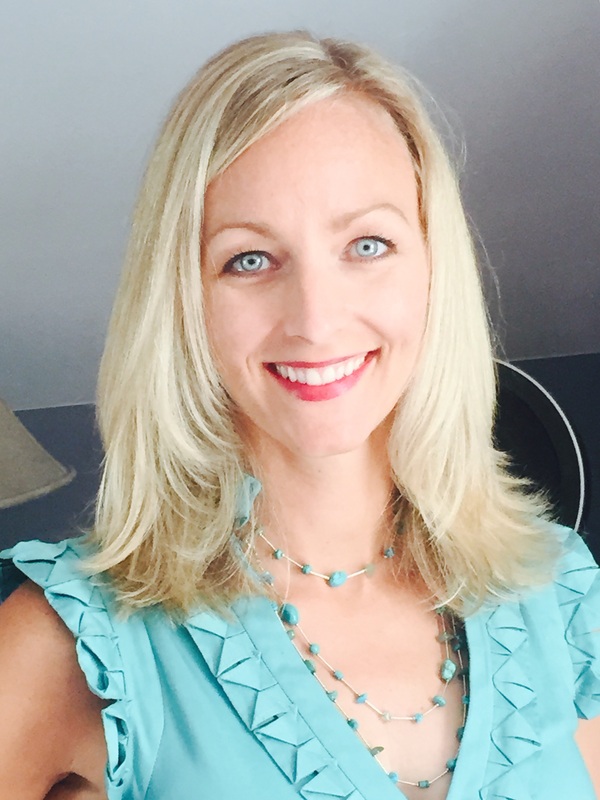 Brandi: In our recent session, in a life coaching style, you were very good at giving advice in helping me to gain clarity on what I really want to do, but sprinkled in was what you were intuiting from your guides and mine. Can you explain how you receive messages? Are they auditory, visual, or just a sense of knowing? Ann: Visual – I see things such as guides, shapes, colors, places, people who have passed, images or objects (clairvoyant), auditory – I hear words, phrases, sounds (clairaudience), a strong knowing – I just “know” something (claircognizance), physical and emotional states of people and things – I will often get feelings from houses, buildings etc., (clairsentient), empathetic – I can feel person’s, animal’s, place, emotions (clairempathy). They can be all of the above, or just some, or sometimes a “mish-mash”. It somehow makes sense to me. I also use psychometry – reading personal objects and have been known to get some good info from tea leaves. Brandi: I haven’t had a psychometry reading before. I am always looking for a strong validating sign when I get a reading. Perhaps, psychometry is the next thing I should try! Ann: I would be happy to do one for you! Brandi: Thank you! I will keep that in mind😊 I understand that after a long time of keeping your gifts to yourself you have finally decided to pursue healing work, but you also have a day job. Can you tell me a little bit about your background? Ann: I am an RN by trade and have been in the medical field for over 40 years. At present, I am an instructor (day job), for Home Care Aides. I have been told for many years that I am a “Healer”. I have resisted that title for a couple of very good reasons: 1. I didn’t fully believe it (spiritual healing in general) and I didn’t have the faith in myself to call myself one, or think I had “enough” or the right abilities and 2: I had the image of a “Healer” as someone who was “Hippy Dippy” or very “Woo Woo” and wore Birkenstocks and have a flower in their hair (major stereotyping, but you get the point!). I didn’t see myself as either. I just read people, places and things. Brandi: I can totally relate to the major stereotyping. I am more of an explorer of the metaphysical and I love to share what I learn along the way because I believe there are so many resources out there for people to connect to healing and wholeness, but because of stereotypes people steer clear. 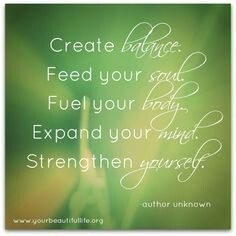 It was about 7 years ago when I finally embraced that aspect of myself and it was so liberating! So, what prompted you to pursue alternative healing work? Ann: When I was at the MBSE, last year, I entered a lecture that had started and the gentleman giving the lecture was saying: “…. step into yourself”. Boy, I had a huge “Ah ha” moment. As some people like to say: “That really resonated with me”. I then went on to partake in other lectures and one of them was Gail Thackery. She was giving a great lecture and was talking about the “natural healers” of the world and pointed to a couple of people in the room and then, with heart-pounding, OMG, yes, she really is pointing to me, moments, I realized, “Hhmmmnnn, maybe I should actually start taking this seriously”. I was speaking to Gail afterwards and asked her if she really meant what she said about me being natural healer and she said “yes” and went on to describe what may happen as I evolve. It was very uplifting, encouraging and totally scary. Brandi: That could be a whole other conversation! I would love to hear about it sometime. I was at Gail’s lectures too and she pointed to me and said, “You want to be more psychic” along with some other tid bits. She was right, lol! I have good intuition, but I so admire the gifts that you have. Ann: Well, thank you. I really believe we all have some sort of ESP We are hard-wired as a species, for survival. EG: If you have the hair on the back of your neck stand up on end, when you can’t even necessarily see danger…you get a funny feeling about someone, or something just doesn’t feel “right”…we often shut it down, but deep inside it is a feeling we can’t ignore. Brandi: Have you always had the ability to connect to the other side? At what age did you first experience this ability? Ann: I really can’t remember. I’m not one of those kids that could “see dead people”. I realize I have always been very perceptive as a child. It probably wasn’t until I was in early adulthood that things started to really make themselves known. I remember forming a friendship with a fellow RN who was very spiritual and things started to awaken and then when I started hanging out with psychic people and went to meetings, things really started to happen. I was mostly scared and started to “shut it all off”. I saw and felt things that I couldn’t control and didn’t know what to do with them. Brandi: That sounds like a friend of mine. She’s always freaked out by her strong intuition/knowing. I think she should embrace it and encourage it, lol! Any resources you would recommend? Ann: I would encourage anyone who feels they need some guidance to start with meditation and ask for help – “please help me find”, “show me someone who can help me”…ALWAYS be very careful how you ask for something. BE VERY SPECIFIC about what you want – boy I learned that the hard way J When you are sincere and it is for the good of all concerned, things will be made known to you, or you will meet someone, find an article in a magazine, that may lead you to something else, etc..
Brandi: I’m assuming you can’t really shut it off? Ann: Actually, I do. I think the only way I can explain it is that I am always aware, the same way a mother is always listening with “one ear”, for her baby that may need attention and then when she is with the baby, she gives it full attention. If I am alerted, I give my full attention. Brandi: Is it just as easy for you to receive messages for yourself or is it easier to give messages to others? Ann: It really depends on the day and the situation. Brandi: That makes sense. Do you ever receive messages for someone that you know you are not supposed to pass along? Ann: That has not occurred at any time, to date. I have had messages for people and very cautiously approached them to see if they are open to hearing what I have to say. Obviously, I need to be very careful how I approach and what I say. Brandi: Are some people just harder to read? Ann: If people want to be read, they allow themselves to be open to it; that has been my experience. I would never try to read someone other than whatever I am picking up from them. That would be intrusive and disrespectful, in my opinion. Brandi: I can attest to that – I felt very respected by you during my reading and there was no sense of intrusion. Tell me about the new business you are getting ready to launch and the types of healing work you will be doing? 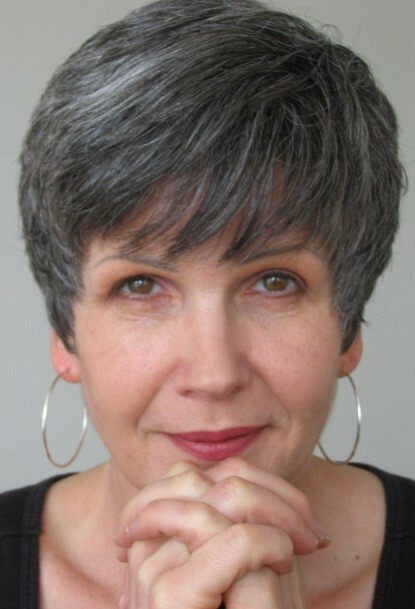 Ann: Heal your Grief – Heal your Life: I help people find that place within themselves, that they need to come to terms with and support them while they find a way/place they can live with and feel comfortable with in their own skin, using modalities such as Grief Recovery (Grief Recovery Specialist), Reiki (In June I will be taking level 3 of Reiki – Reiki Master), intuitive coaching, readings, as they may need. No one size fits all. We all have different needs and therefore different ways of getting to where we need to go, therefore I am also building a referral system of other practitioners; e.g. 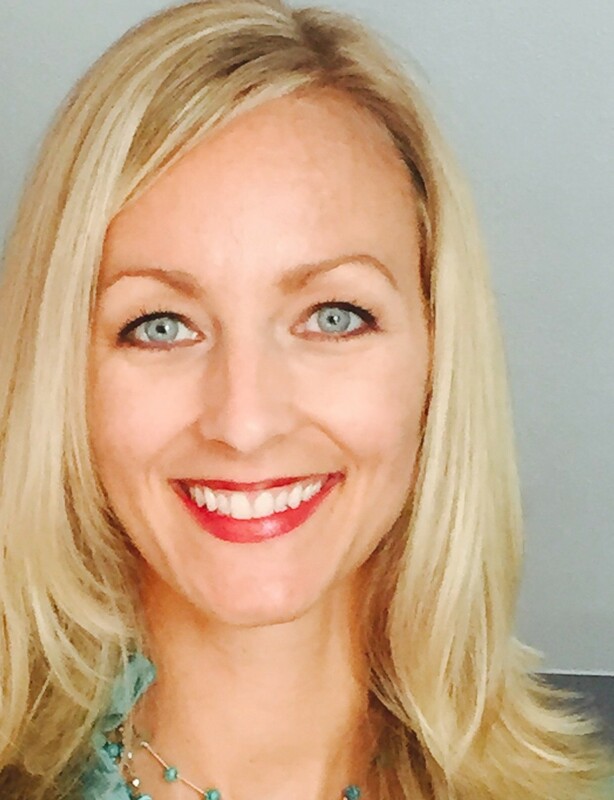 : massage therapists, acupuncturists etc…so my clients feel as though they have options. These practitioners will be strongly vetted so I feel comfortable with the referrals. I see a healer/reader/life coach etc., as someone who has a great deal of responsibility to the client and it should be honored and taken seriously. 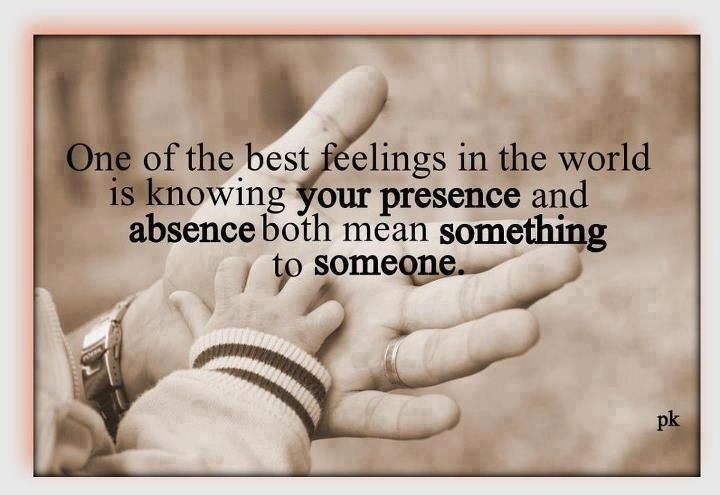 It is a very intimate and vulnerable time for them when you are connecting with someone in such a manner. You may see, hear or know things that are very personal or private. Everything any of my clients say to me or anything I see or hear for them, is held in strict confidence. Ann: Thank you. I appreciate that. Brandi: Your Welcome! Now for my last question: For me, sometimes following this path can feel like I don’t really fit in with the mainstream or the metaphysical types. What advice would you give to others who might feel this same way? Ann: I love this question, because I was so ignorant of the fact that there is so much difference between us all. That may sound silly, but it is true. Just because you are metaphysically minded, or spiritual or whatever else you may call yourself, we don’t fit into a mold. Yes, there are definitely similarities between us, but we all have different ways of doing and “being”. We all drive different cars to get to the game. Brandi: I love that- it totally resonates with me and is the reason why I blog! Thank you Ann for this insightful interview. I am honored to share your gifts with the readers. I wish you the best in your new venture: Heal your Grief – Heal your Life. Ann is located in Vancouver, WA and can be reached by phone at 360.721.3433 or email at aallenusa@gmail.com if you would like to set up an appointment. I will update as Ann launches her business website. 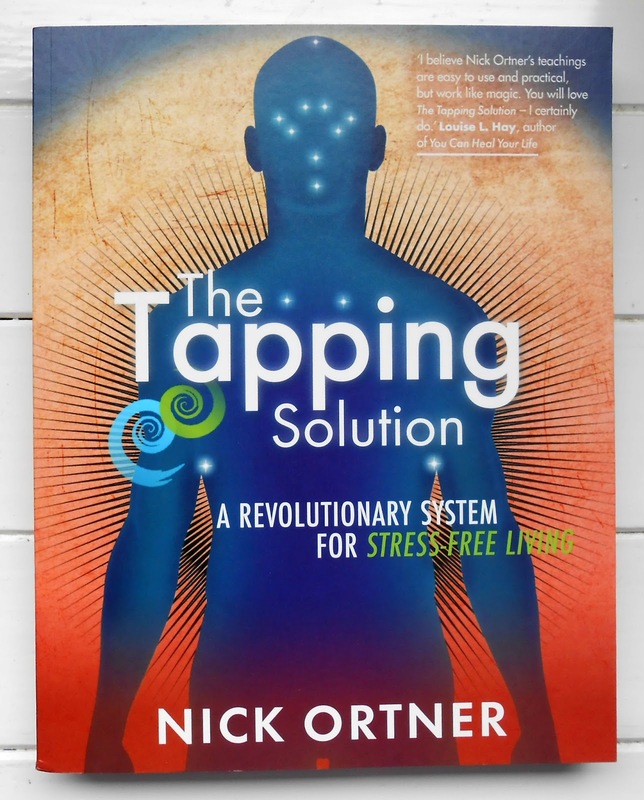 I participated in a free online ten day summit learning about and practicing EFT Tapping, produced by Nick Ortner of The Tapping Solution. 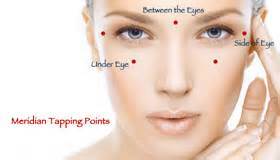 EFT is the acronym for ‘Emotional Freedom Technique’ and it is the practice of tapping on nine acupressure points of the body related to the meridian acupuncture points as known in Chinese medicine. The reasons for doing tapping are many and include: stress and pain management, weight loss, clearing past trauma, dealing with limiting financial beliefs, even enhanced athletic performance and the list go on! The summit is in its ninth year (offered annually in February) and has had over 2 million participants in that time. Apparently, this tapping thing is catching on, which makes sense because science is beginning to back up the outcomes with more and more published studies showing up in medical publications. Many times people experience strong negative reactions/emotions each time they revisit a painful memory. Tapping helps to release the intensity of the negative emotions by sending calming signals to the amygdala part of the brain. When negative emotions (fear, anger, anxiety, etc.) arise the fight or flight state is triggered which originates in the amygdala. You can not exist in a state of calm while simultaneously triggering the fight of flight response. That is why tapping is effective. Tapping while thinking about the stressful event (or pain in the body) rewires the brain signals to associate calm feelings with the stressful event, therefore no longer triggering the amygdala into the fight or flight response when the stressful event comes into mind. For some people, they may simply tap for pain relief or weight loss, but then discover a deeper layer – an emotional aspect that is causing the pain or extra weight which may not be known or even connected to the pain/weight at first glance. Which leads to tapping to clear the emotional aspect and in the process the physical pain is often relieved or at the very least lessened. It takes time and more than one session, but there is science backing up the validity of the practice. I found the practice to be very relaxing as it sends calming signals through the body to the brain. I felt more calm and relaxed after a few minutes of tapping. Anybody can do it and you don’t need a facilitator, plus you can try it out for free. There are a ton of YouTube videos on how to do it for any reason you may consider trying this practice. For me, my experience was that I was tapping to relieve physical pain and in the process forgotten memories surfaced. I hadn’t made the connection that the two were related but tapping did in fact lessen my physical pain. If you are interested in learning more about EFT and why it works or how to do it check out this link: thetappingsolution.com . “Sanskrit has 96 words for love; ancient Persian has 80, Greek three, and English only one. This is indicative of the poverty of awareness or emphasis that we give to that tremendously important realm of feeling. Eskimos have 30 words for snow, because it is a life-and-death matter to them to have exact information about the element they live with so intimately. If we had a vocabulary of 30 words for love … we would immediately be richer and more intelligent in this human element so close to our heart. An Eskimo probably would die of clumsiness if he had only one word for snow; we are close to dying of loneliness because we have only one word for love. Of all the Western languages, English may be the most lacking when it comes to feeling.” – Robert Johnson, “The Fisher King and the Handless Maiden“. With that being said, I wonder how the English language can only have one word for love? In one breath I can say I love nachos and in the next, that I love my kids. At some point, I began to believe the word ‘love’ was inadequate in some situations and thrown around too casually in others. In an attempt to understand the depth and nuance of the love given and received in my life, I’ve been guilty of minimizing it without even realizing it. I’ve tried to label love: first love, puppy love, last love; more, best, most love; biological, familial, relational, friend, cultural love; free love, easy love, complicated love. You name it I’ve categorized it and in doing so minimized it by trying to quantify it. I can see where this is going and I am not going to take the bait anymore! I simply say that I am not one to follow any particular path, and that I enjoy the truths of many religions, but what I am really thinking is, I’m not interested in Scientology because I think it is cultish, the founder’s mental health has been questioned, slave ships, Tom Cruise and his divorces, bad press all around – it’s all coming to me now! But I know she is armed and prepared for everything I am thinking and ready to defend Scientology, she knows this is the perception. I shut it down and take the book and go with hesitation. The woman from the booth tells me to just read it, she reminds me, “you said yourself you are interested in many truths and that you like to look at topics from all sides even when you don’t agree.” Damn it! She is using my own words against me. She tells me to please read it and if I don’t like it I can get my money back. Whatever, so I leave feeling conflicted with a heavy book weighing down my shoulder and I move on slightly irritated. The next day I go back to the conference and I have decided that I am going to return the book and get my money back. I realize once inside the huge conference center that I had left the book in my car the night before because of the weight. Damn it, I am not going back to the parking garage. I am so bothered by this. It is only $25, but it is the principle of it. Once back at home I am still thinking about this damn book. I think, well I could mail it back and request a refund, but then I quickly realize that I do not want to engage anymore. So then I think, maybe I should donate the book, but that bothers me too because its like throwing away money and supporting a cause I am not interested in. And then it hits me. What am I so resistant for? I am going to turn this into an assignment. 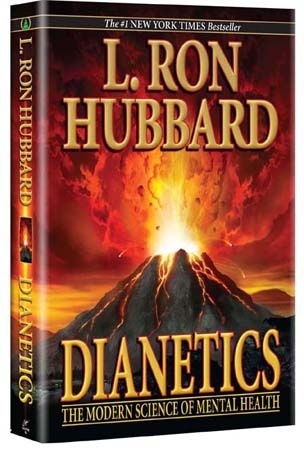 I am going to read Dianetics with three highlighters. One to highlight the supporting text that backs up my negative feelings. After all, when asked why I am not interested in Scientology what better way than to cite direct quotes. Secondly, I am interested in what the hook is for readers. What draws people in? And lastly, I am going gold mining. I am going to look for the nuggets of truth no matter how buried because any religion usually has some universal truth within it, right? I no longer feel irritated that I have Dianetics in my possession. I am sure the stress meter would indicate the same;-) However, I am not sure when I will begin the assignment, but I will report back when I’m finished! 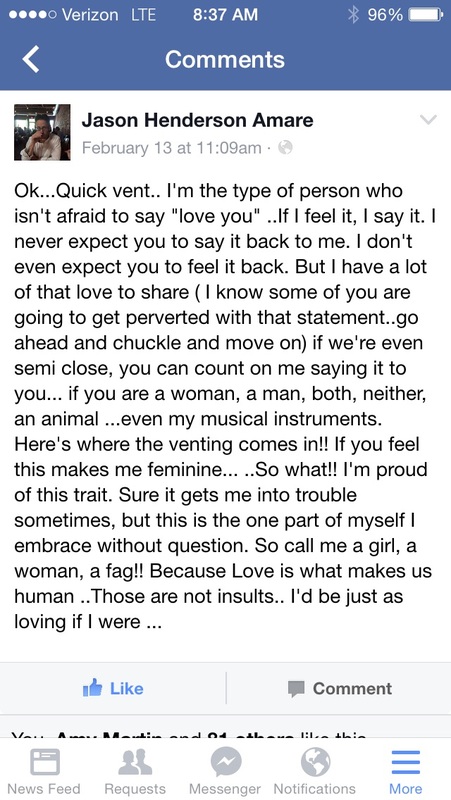 I read this facebook post last year at the same time I was contemplating what my blog would look like and feel like. Jason’s words inspired the category Truth Be Told, and the essence of my blog, which is to be your truest authentic self and share it with the world even if it causes you ridicule because eventually when you embrace who you were uniquely made to be, the vulnerability in sharing your true-self with the world eventually turns into empowerment. 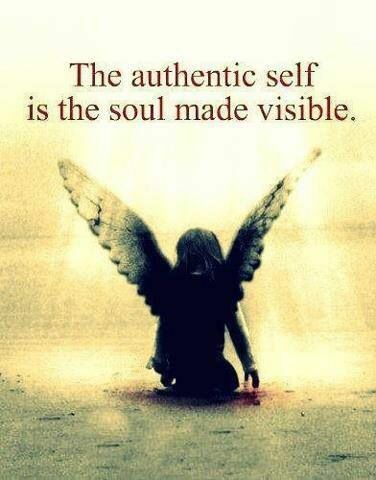 Only when we get real with ourselves and share it with those around us can we fully come into ourselves. I love how in the end he states that even the so called insults, and name calling are not insults at all because he is proud of who he is. As a matter of fact, he is in a sense, unoffendable. It is in the acceptance of oneself that eventually leads to the confidence Jason displays in his facebook post. Only when you love yourself and accept yourself can you live freely. It is a big step sharing with the world who you really are, what you really care about, what your preferences are, and not everybody will agree with you or like what you like. Only when you stop living for the expectations of others and living out loud from your heart can you shake off opposing views. Revealing who you really are isn’t an easy feat; rejection is a major possibility, but the freedom in living your truth will eventually lead you to become proud, confident, empowered and perhaps even unoffendable. How do we say goodbye to our dad? He was our greatest protector, defender and rescuer. It doesn’t seem possible that anyone could possibly understand the depth of our love and reverence for him. He knew our souls and loved each one of us for who we are. He knew our hearts and our strengths and didn’t compare. And we knew his love was just as strong for each and every one of us, yet his bond felt entirely unique to us. We were all so proud he was our dad. As sisters we always want the best for each other. We are each other’s cheerleaders. We don’t compete, have sibling rivalry or jealousy. How is this possible? With six girls – really? It’s true. We are this way because of our dad. We never had to vie for his affection and we never kept score. He showed us his love the best way he knew how and we always got the best of what he had to offer, and that meant different things for each daughter. We loved that about him. We were all treated as individuals. One of his last wishes was that we would always stay together, don’t fight and always love each other. Dad – you don’t have to worry. You’ve already instilled that in us. We’d like to honor our dad today by sharing with all of you what we learned from him and what we’ll miss the most. He taught us perseverance in that you have to work for what you want in life. And sometimes you gotta fight for it, don’t let anything or anyone get in your way. He told us to always chase our dreams. Don’t let an opportunity pass you by. If it doesn’t work out, move on and try again. Eventually, something will work out and you’ll never have regret because you won’t have to look back and wonder what if. Always keep your word. Be brave. You are not better than anybody else. Everybody falls down sometimes – treat them with dignity and respect. He really set the standard for what a father’s love and responsibility should be. The things we’re going to miss the most begin with the simple phone calls. Phone calls usually started something like this, “what do you need,” or “hey check this out,” or “what do you think of this idea!” His excitement and enthusiasm was contagious. He was the cool dad that was always out with his girls because he was invited. He was the life of the party and made everything more fun. Dad was all about making memories. He put so much effort into showing people a good time, but he loved it, he was loved for it – and he was good at it. Dad was the best story teller, and he always had one. The best part is he never embellished. Even if he wasn’t presented in the best light, he always told it like it was. He had the best sense of humor. We’re gonna miss laughing with him. We’re gonna miss Harley rides with our dad. We’re gonna miss running errands with our dad, which were usually paid at “ten bucks an hour”. We’re gonna miss the man who always had our backs no matter what. Whatever emotion we were feeling he validated it whether we were right or wrong – it didn’t matter. If we were angry, he was angry. If we were excited, he was even more so. We could tell him anything. He believed in us and we trusted him. What we’re gonna miss the most though, is the anticipation of his arrival. He was always the one we would look for to arrive at any given event. We’ll miss his smile and the pride we felt when he entered the room; that instant connection. Only then, could we relax and really enjoy the moment. Do all daughters feel this way about their dad? In closing, I want to give an explanation. Over the years, people have always commented to us and complemented our dad on the fact that we all turned out so well. We would just smile and say thank you. They all knew our dad raised us right, but you could tell it was always said with a sense of wonder. I get it, believe me. We had a pretty unconventional upbringing to say the least. But, the reason we all turned out so well is because his love for us was so strong that he would have laid his life on the line for us without question. I know a lot of parents feel that way about their kids, I just don’t know how many kids really know it. We did. When you have love like that how could you disappoint? By now, about 1/3 of the people that set a New Years resolution have already ditched the vow. 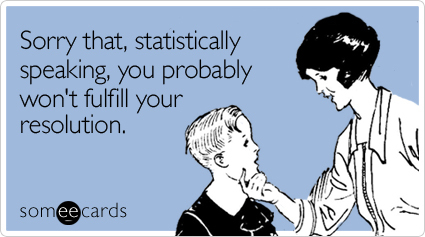 By the end of the year, statistics show that only 8% will have stayed the course. How about you? Maybe you didn’t make a resolution (55% of Americans don’t). Why not? Is it because you feel it is pointless and doomed to fail? Or, if you intend on making a change you simply set a goal and get it done- no need to wait for the New Year to begin! Resolutions can be for everybody, made anytime, especially when it is a vow we are actually looking forward to or growing from. 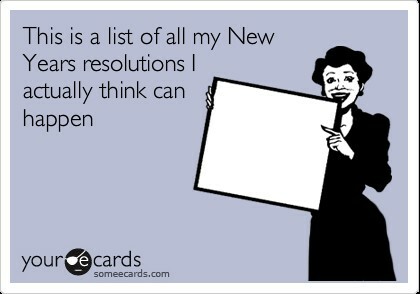 I know why resolutions fail and how to actually succeed at following through. Happy 8th Birthday Lillian Grace! This one is dedicated to my sweet daughter who is turning 8 today! Dear Lily-I love you for infinity and beyond, eternity, forever and unconditionally, no matter what! Love, Mom. As a parent we always want the best for our children. I love the sweet message of the lyrics which is to never settle, to never give up on your dreams and when you do achieve great things, to have humility; that anything is possible with faith. Enjoy! 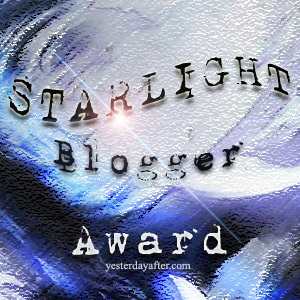 I would like to thank Carolina for nominating me for the Starlight Blogger Award and for giving me the opportunity to answer the following thought provoking questions! Carolina created this award as token of love, appreciation and encouragement, and receiving this award from the creator herself is a great honor. I accept with humility and a happy heart:) Please visit Carolina Russo over at Yesterday After, it is one of the most visually pleasing, beautiful blogs I have seen here on WordPress. 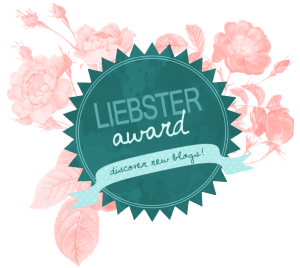 Nominations Rules: Nominate your 6 favorite bloggers! In your nominees, I would like for you to think about the light emanating from the stars, the ones that truly touch your soul with their work, the ones that are the light for you, a true STARLIGHT Blogger. Answer the 3 questions given to you. Include the logo of the award in a post or on your Blog please never alter the logo and never change the rules. 1) Can you describe a side of your Personality that we don’t know? 2) Have you found peace in your life? If yes explain how. Its an honor to be nominated for the Sunshine Blogger Award. 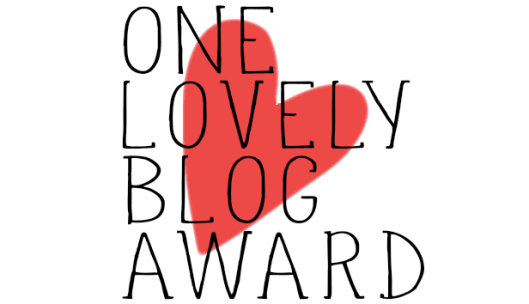 This award is in recognition of blogs that share positivity in the blogging community. A big thank you to my nominator blog friends, Michael and Jacqueline. Please check out their blogs for a little bit of sunshine:) Michael’s Origins and A Cooking Pot and Twisted Tales. 2) Answer the eleven questions from your nominator(s), in this case In this case I’ve selected a mix between the two nominations. 3) Nominate eleven other bloggers and give them eleven questions to answer. 1.Do you volunteer with any charity or non-profit? Even though I know this life is temporary and I know we all meet on the other side, my biggest fear is losing someone I love before their time, or at least what we perceive as early. 4. Where is that one place in the World you wish you lived in? Exactly where I am. I used to think this was the last place I would live when I was growing up, but now I appreciate it. Even if I had the means to live anywhere I would maintain my home base here, but I would get a second residence in Hawaii, probably Maui. 5. Who has most influenced your life? My dad. He’s gone now, and it was only after he passed away that I really began to reflect on the impact and influence he had in my life. I suppose that is how it is with many of those closest to us. We only realize certain things after they are gone. It is a form of them still being with us even though they are physically gone. Martha Beck. I love her witty intelligence and advice. 7. What is the one career you would love to enter? Television Production – see question number 10 for the long answer. 8. What is your favorite temperature? 75 with no wind is just right for me. I never could quite put my finger on that one until testing revealed that I am exactly 50/50. Totally makes sense now! 10. What about yourself would you change if you could? I would have a naturally beautiful clear complexion all the time, no need for beauty treatments. Interesting you should ask. I blogged about that very question. You can read about it here in Truth be Told: Why I Blog. I have selected the nominees below for various reasons but mainly because they have brought me such joy by reading and supporting my blog. This is my way of saying thank you for your support. Those who are friends on the ground of virtue are anxious to do well by each other. I had an interesting dream the other night. It was brief, but very deep. I dreamt of an old friend. You know, one of those friends that will probably always weave their way in and out of your life, but you don’t have a close friendship with anymore? Anyway, that was the kind of friend I dreamt of. It is a real honor to be awarded the Premio Dardos = Darts Awards (translated from Spanish). I am humbled to receive this award because the meaning behind it is wonderful, and coming from Hector Sampson is a real compliment. 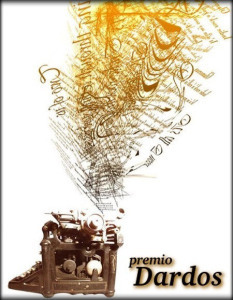 The Premio Dardos is given from one blogger to another, in recognition of cultural, ethical, literary and personal values that are transmitted in the form of creative and original writing. I would like to thank Hector Sampson over at The Power of Quantum Thinking for such an honor! Please visit his blog, you won’t be disappointed. 1.Thank the Blogger who nominated you for it. 2.Nominate a few other blogger’s and notify them. Thank you all for being wonderful and sharing your true self with us. Much gratitude to all of you for being such an inspiration! 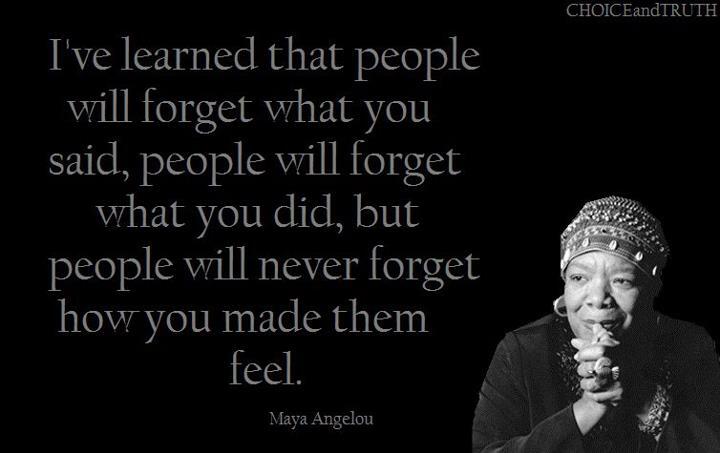 Q: How do you want people to remember how you made them feel after you are gone? A: In my presence, I hope people feel that they matter, that they are truly seen and heard. As the busy summer comes to a close and the routine of school begins I ‘ve been reflecting on the whirlwind of activity over the past few months and how fast the summer has passed by. With a family and work, there are many commitments, celebrations, invitations and events to consider attending or declining. 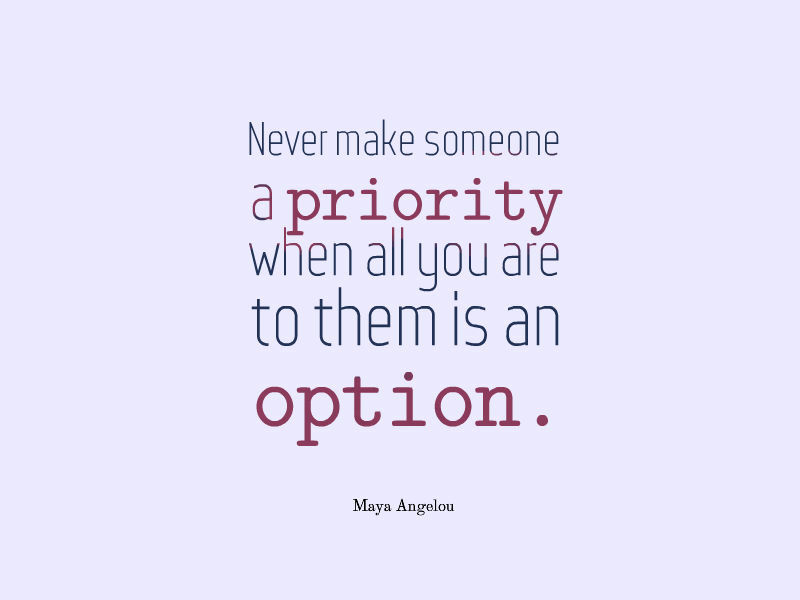 In all actuality, this is a year-round consideration for me, but recently my wounded, inner-child was activated, hence the deeper reflection into said topic 🙂 I was hurt, annoyed and let down by someone because they didn’t show up for me. They made a choice to show up for another cause, perhaps more noble in nature, but still a let down to me. I allowed myself to feel the frustration and judgment I was passing, but I am glad to say that I am far enough along on my spiritual journey to recognize a trigger as a gift of awareness. Awareness in regards to an area that needs to be healed, or maybe an area that I need to work on myself. My nominations are below. I selected these bloggers because they have been strong supporters of my blog and I am inspired by their expression of truth and vulnerability in their writings. Check out their sites – you’ll be glad you did! 1.If you could meet one famous person, who would it be? Oprah Winfrey. I’d make my pitch to get Destination Enlightenment on her network! Or least try to get a correspondent role on Super Soul Sunday! 2.What is the simplest thing that makes you smile? Just being together with my husband and two children when everything is relaxed and we’re just hanging out being us. 3.What is your favorite season and why? That is a toss up between summer and fall! I love the warmth of summer and the energy I feel from the light of the long days. But then, I so relish the fall, for the routine it brings and with the cooler weather I like to recharge and stay in and make cozy food. The fall is my favorite season to dress for. But summer has the best activities. 4.What is your all time favorite food? 5.What song gets you pumped? 6.What was the most inspiring book you have ever read? That would depend on the time of my life. There are many. I really enjoyed the Alchemist by Paulo Coelho. 7.Any other interests other than writing/blogging? I enjoy cooking and baking, staying fit, dabbling in my small garden, spending time with my friends and family, reading, shopping, and getting out of town! 8.Do you believe in love at first sight? Yes, because I’ve seen it happen. I believe it is rare and usually lust at first sight, but I do believe my sister and her husband are the perfect example of love at first sight. They eloped young after a month of knowing each other it took a while before everyone agreed upon what they knew at first site. They are still together and happy almost 20 years later! 9.Are you multi lingual or do you know parts of another language? 10.Who do you look up to or who inspires you? 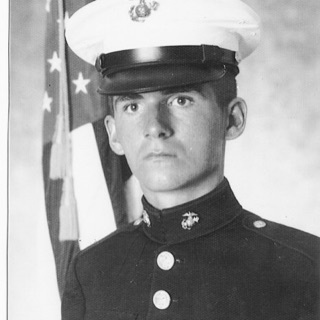 My dad has passed on, but his spirit still inspires me. His memory reminds me to never get too comfortable in life because if you do you may become complacent. 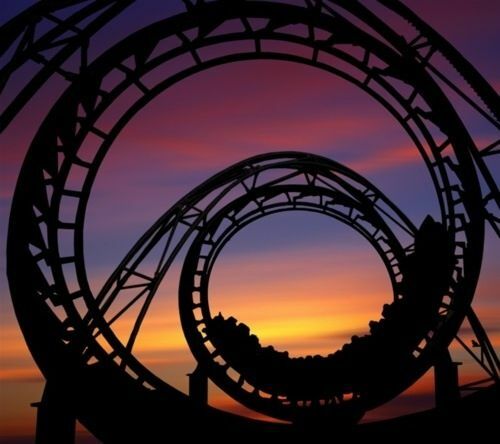 He lived his life to the fullest never wanting to miss an experience. He was a resourceful man and a hardworking dreamer, but chased his dreams down and made them a reality. He believed anybody could make their aspirations a reality if they worked hard enough. Thank you so much for reading. Happy blogging! Last year, I was really excited about this new birthday practice, so much so I that I got ahead of myself and was ten minutes early in acknowledging the sacred moment of my birth. I suppose that showed up as symbolically needing to practice patience, and understanding that everything comes in due time. Just the opposite is true if you are late for the sacred moment, it could show up symbolically as being late to many things throughout the year. Anyway, what comes next is really intriguing. My mom and I decided to begin the day with a beautiful hike both of us had never been on before. It was a perfect sunny day with gorgeous scenery. 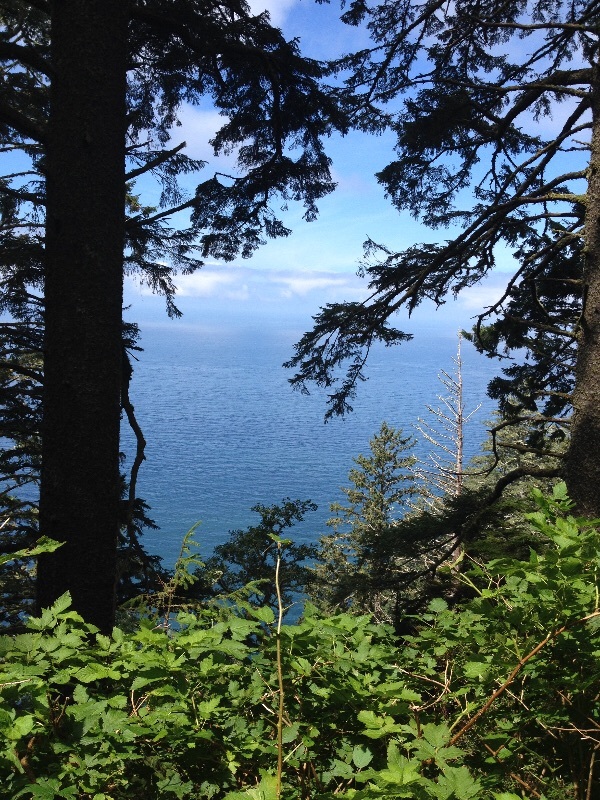 Our plan was to hike four miles in to Hiker’s Camp on the Tillamook Trailhead and turn around and hike the four miles back. However, about halfway in we came upon deep, deep muck! It was uncommon in August for the hike to be this muddy. We didn’t think it would be for too long, but as we hiked along there appeared to be no end in site. Hikers were turning around and others that were coming the opposite direction told us the muck went on for at least another mile or two. We had a choice to make, turn around or continue on. I was determined to continue on, how bad could it really get? My mom agreed. After all, it was my birthday and we didn’t know when we could return. So on we pressed! I was trying to strategically hike through the deep mud, and go around, but I got frustrated and mistepped. I ended up ankle deep in mud. At that point, there was no more pussyfooting around. I threw my arms up and said, “Oh well, at least now I can tromp straight on through, I’m already covered in it!” So I went head on through the muck as my mom managed to stay relatively tidy. I did have to wait for her to catch up to me though, and in the moment I commented that there was some serious symbolism going on here. The beautiful hike turned into a mud bog, and out of determination I went straight through the mud even though it was uncomfortable. I was much faster than my mom who was going around every obstacle at a much slower pace, but I wanted to hike, not be on an obstacle course and I didn’t care if I got dirty. We weren’t making very good time. We eventually made it to hikers camp, and sat down to enjoy our lunch. My sandwich was a big mush pile, it had been beat up through the entire hike in my backpack. My mom was bummed because she made the sandwich for me. I ate the non-mushy parts and tossed the rest in the fire pit. Hmm, more symbolism I supposed. What the hell was all of this supposed to mean? I just love receiving an experience as a gift. A dear friend of mine gave me a SUP Yoga Introductory class from Clatsop Paddle for my birthday this month. I actually like saying SUP Yoga; the way it rolls off my tongue. I say it with a little extra emphasis on the SUP part. As a matter of fact, I thought SUP Yoga was a catch phrase, like shortened lingo for ‘what’s up yoga’ or something. It wasn’t until driving to the class that it hit me, SUP is an acronym for stand up paddleboard. Oh well, I still like saying it. And I like the practice even better! I went into the class not knowing what to expect. I had never been on a paddle board before. I was fairly confident in my yoga ability though, and it was comforting to find that I had taken yoga from the instructor before (Michelle, over at the Hot Spot Yoga studio). I went into the class fully prepared. I had rented a wet suit and life jacket, I got the booties. I was fully outfitted for the cold I was sure to endure from falling into the lake multiple times as I tried to balance on the paddleboard. Turns out though, that the lake was warm, the day was hot, I didn’t need the life jacket as I can swim well enough, especially in a calm lake in an anchored position. The booties I didn’t even wear; I like to do yoga barefoot. But, what was really nifty, is the board itself. You can strap all your gear underneath the bungees on the board and make a day trip with all the gear you’ll ever need. I definitely need to do that someday! I must have had a really nice board because it was easy to find my center of balance. I was able to keep my eyes closed throughout the yoga piece and I literally felt as if it was just me and the voice of my instructor on that lake. It was nice as we were all able to spread out on the lake with enough space to not hear each others deep breathing, or shifting from position to position. All my uncertainties of knowing nothing about paddleboarding vanished as well as the tensions in my body. I had never connected so deeply in a yoga session as I did that day on the lake. I was even able to get into the camel pose without pain (chiropractic and massage sessions have been doing me wonders!). I realized after the fact that I was basically in a meditative state the whole time, as my mind was clear and free of chatter. I was totally in the present. I felt so energized after the class and will definitely return. I would recommend this to anybody who is a little familiar with yoga as one of my friends that attended the class felt that it was difficult for her to get into ‘the zone’ as she was not that familiar with the yoga poses, but she was comfortable on the board otherwise. My other friend that attended, enjoys yoga, but was fearful of her perceived lack of balance. Turns out, she was comfortable on the paddleboard too. No balance issues there! I’ll be back for more, next time with just the bare essentials, ready to go!